A view of the Shikoku mountains in the Iya Valley region. 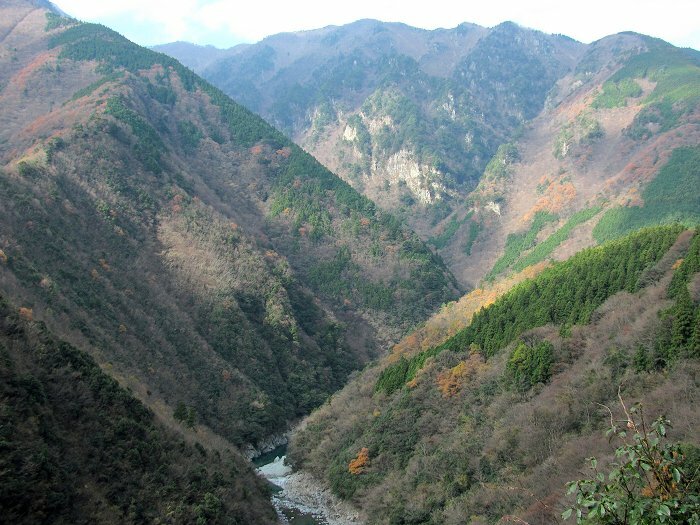 Here, the Iya River makes a U-shaped bend in the shape of the character "hi" (ひ) in the hiragana syllabary hence the name "Hinoji." This is a place of steep-walled valleys and rugged mountain ridges, sparsely settled and "wild" in character.